All you foodies seeking your next tasty adventure need look no further than the 2018 Disney California Adventure® Food & Wine Festival at Disneyland® Resort from March 2 to April 12. Take your taste buds on a culinary tour that celebrates the freshest and best of California ingredients and cuisine. As you stroll from Hollywood Backlot to Paradise Pier, 12 marketplace kiosks offer imaginative recipes reflective of the Golden State. Here’s a quick look at some of our favorite dishes and where you’ll find them at the festival. You’ll never think of garlic, artichokes and citrus the same way! 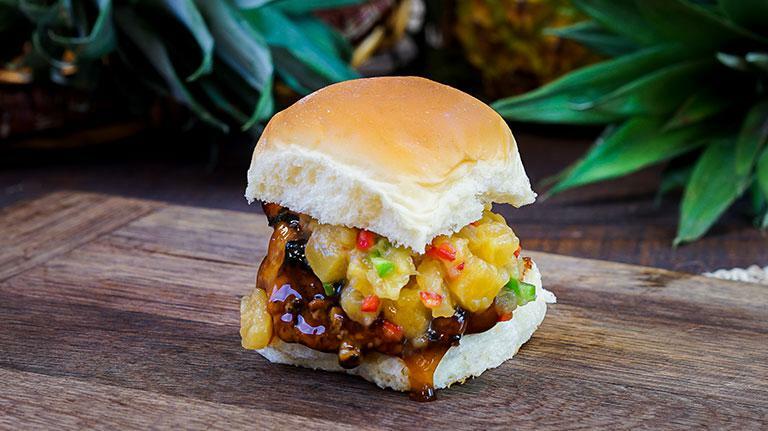 Enjoy a fusion flavor explosion with a Chicken Teriyaki Slider featuring spicy Dole pineapple jam or Korean barbeque beef short rib tacos with kimchi slaw. 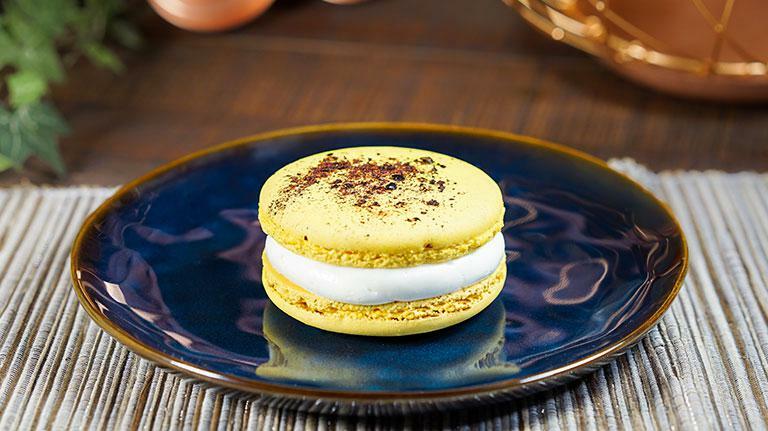 Give your sweet tooth a tingle with a Meyer Lemon Macaron with blueberry marmalade, Meyer Lemon cream and blueberry dust. Bet you can’t eat just one! 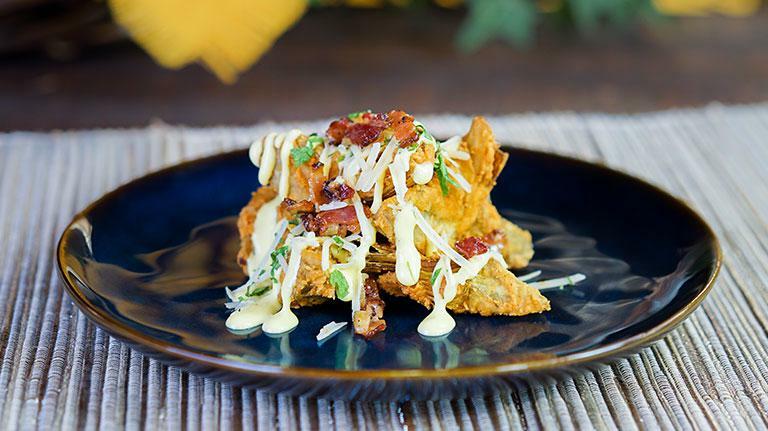 Discover just how versatile artichokes can be as you dig into Fried Artichoke Carbonara with garlic aioli and crumbled bacon topping. Finish off with an Artichoke Cake Pop drenched in chocolate and pistachios. 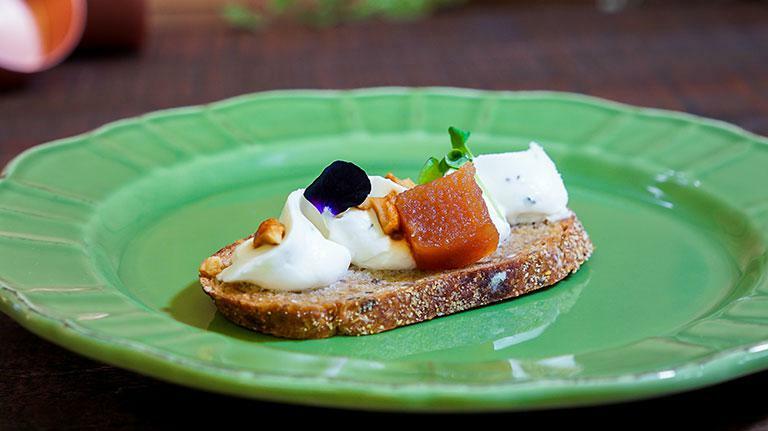 Savor the creamy smoothness of a Goat Cheese Tartine—toast with a melt-in-the-mouth topping of goat cheese, honey and pistachios. The 2018 Food & Wine Festival also offers a full menu of activities for the entire family like the Junior Chef Program for kids. And don’t miss seeing some of your favorite celebrity chefs like Guy Fieri and Robert Irvine cook up some fun, live on stage, as they demonstrate how to make some of their signature dishes. For event schedule and details, click here. Some events require separate admission and reservations are strongly recommended.